The Barb-It provides the serious angler additional slip-resistant security for soft-plastic baits. Just thread the wing shaped Barb-It onto the line above the hook and insert it into the top of the bait against the eye of the hook. The sharp pointed wings add holding power preventing soft-plastics from sliding down and bunching up on the hook. 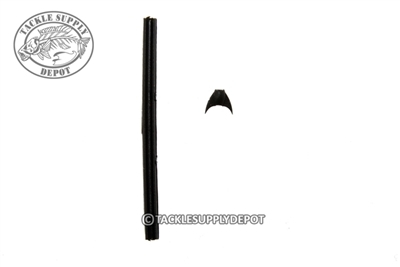 The Barb-It design allows it along with the soft-plastic to slide up the line when a fish strikes preventing bait interference during the hook set. The Barb-It also works great with live bait helping secure the bait to the hook. The Barb-it is available in small and large sizes, and each size is packaged with an insertion tool. ?